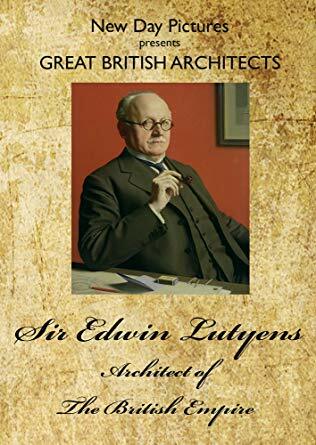 The Lutyens Trust is pleased to be able to sell this limited edition DVD on Sir Edwin Lutyens – a remarkable documentary presented by Colin Amery and featuring interviews with Mary Lutyens, Jane Ridley, Gavin Stamp and Clive Aslet. Produced in 2010 by New Day Pictures, the Trust is selling this for £7.80 + P&P (Amazon £13.42). To order, please send your name, address and a cheque for £9.06, made payable to The Lutyens Trust, along with a covering note to: Mrs. C. Hill, The Lutyens Trust, Goddards, Abinger Common, Dorking, Surrey RH5 6JH. The celebrated British architect Sir Edwin Landseer Lutyens was born in London in 1869. His long career coincided with the great flowering triumph of the Victorian Empire and the terrible tragedy of the First World War. He died in 1944 whilst working on his designs for a cathedral in Liverpool. Every year Lutyens is remembered alongside The Glorious Dead as the nation gathers around his Cenotaph in Whitehall, which in its simplicity, enshrines a rare sense of harmony. Well known for his country houses with beautiful gardens by Gertrude Jekyll, Lutyens is also remembered for the magnificent war memorials in France and for the outstanding Viceroy s house in New Delhi, the capital city of India. Despite these huge achievements, he was a modest and romantic man, renowned for his wit and charm. This new film explores the phenomenal range of the architecture of Sir Edwin Lutyens – as well as the unique character of the man.